When you think of video games, the first thing that comes to probably mind is being told how bad they were for you as a child. “You’re going to ruin your eyesight staring at that screen all day!” or “Put that gaming console down and go play outside for a change!”. Whatever you were told, it was almost certainly something negative whenever it came to video games. Although there has never been any actual scientific evidence to prove it, video games have always got a bad rap and have been associated with multiple health problems, both physical and mental too. However, more recent research shows that quite the contrary is true – video games can actually be beneficial to us, in small doses. Here’s what the experts had to say about the benefits of video games, proving how their negative reputation is being turned on its head. Just like engaging in regular physical exercise, playing video games routinely can actually help keep our brains in better shape, thereby slowing down cognitive decline in older adults. The findings of the research conducted by a team from the University of Iowa, found that the mental tasks that are so typical of video games help keep our minds sharper as we age. According to an experiment conducted by Shawn Green (University of Rochester), fast-paced action video games teach us skills when it comes to taking in sensory data and using it to make informed decisions with it. This can only be a good thing for those of us who struggle when it comes to decision making in other spheres of life. One of the most common stereotypes associated with video games is how they turn people into antisocial recluses who refuse to leave the house. Research has once again dispelled this myth, showing that gamers who participate in multiplayer live games are actually enhancing their social skills due to the levels of communication required to participate in these types of games. Amongst themselves, gamers were also found to form stronger relationships than their non-gaming counterparts due to their mutual passion for games. 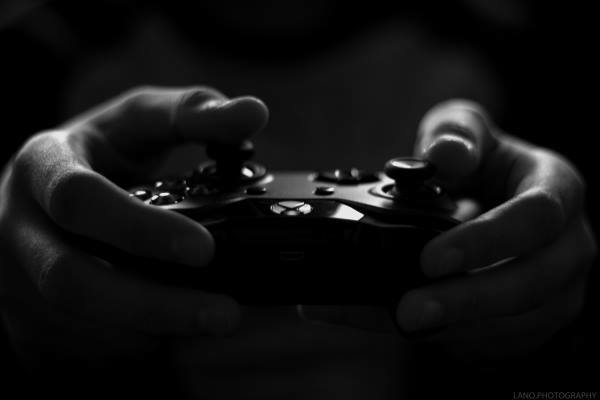 A group of researchers from the UK found that contrary to popular belief, playing certain types of games can actually enhance our ability to learn by increasing our cognitive flexibility. According to their study, games like StarCraft which requires constant thinking and player input may also help us become better at learning while keeping us entertained. Additionally, improved focus and attention are also by-products of playing games, helping kids perform better by focusing their attention on specific tasks. Researchers from New Zealand discovered that the game SPARX, which was in fact created to provide a form of alternative therapy for teenagers, helped players recover better from depressive symptoms than those who opted for traditional forms of counselling. Moreover, gaming has long been considered a fun pastime by many people, even those who do not openly display depressive symptoms. Engaging in video games or even free casino games, has long been rumoured to have a calming effect on players, helping them to unwind and destress in a healthy, non-destructive way. While there is currently no research to indicate this, we have no doubt that it’s only a matter of time before science catches up. Ok so this benefit might be limited to Nintendo’s WII, a revolutionary system which introduced people to the concept of motion control gaming. However, compared to other common household pastimes such as watching TV or browsing the internet, studies have found that playing motion control games are better at helping kids to get their daily dose of physical exercise. In fact, these kinds of games have even made their way into hospitals and retirement homes, helping patients to keep active. No, we’re not kidding. A group of psychologists from the University of Denver found that couples who partook in fun and engaging activities together, including playing video games, led to happier and healthier relationships. Huh! Remember to keep in mind that anything in excess is bad for you, including video games. Gluing yourself to a screen for some 10 hours a day can never lead to good things. However, in small doses, gaming can indeed have positive effects on our overall well being. Now if only we could go back in time and tell that to our parents every time they told us off for wasting our time on “those silly games”!